Edoxaban (Marketed as Savaysa, Daiichi Sankyo, Tokyo), an oral, once-daily factor Xa inhibitor, was approved by the FDA on January 8, 2015 for the prevention of stroke and systemic embolism in non-valvular atrial fibrillation and for the treatment of venous thromboembolism (VTE). In non-valvular atrial fibrillation, patients with creatinine clearance greater than 95 ml/min had an increased rate of ischemic stroke with edoxaban as compared to warfarin. Such data does not exist regarding VTE. As part of its label, edoxaban carries a boxed warning stating that edoxaban should not be used in non-valvular atrial fibrillation patients with creatinine clearance greater than 95 ml/min for the prevention of stroke. For the treatment of VTE, edoxaban is only approved after a parenteral agent has been administered for 5-10 days. The approval for the use of edoxaban in patients with non-valvular atrial fibrillation is based on the ENGAGE AF-TIMI 48 study of 21,105 participants, published in the New England Journal of Medicine in November 2013. 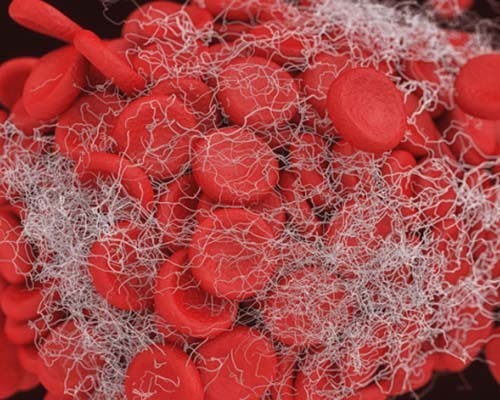 This trial compared two doses of edoxaban to warfarin and revealed that the higher dose of edoxaban was non inferior to warfarin in the prevention of stroke and systemic embolism, 1.18% and 1.5%, respectively. Edoxaban demonstrated significantly less major bleeding and lower rates of intracranial hemorrhage compared to warfarin. However, there was a significant increase in gastrointestinal bleeding events with edoxaban versus warfarin. The recommended dose of edoxaban for non-valvular atrial fibrillation is 60 mg once daily. Creatinine clearance should be assessed before initiating therapy with edoxaban. In patients with creatinine clearance between 15 ml/min and 50 ml/min, the dose should be reduced to 30 mg daily. It is important to note that edoxaban has not been studied in patients with mechanical heart valves or moderate or severe mitral stenosis, and therefore, it is not recommended in these patients. As with any anticoagulant, the premature discontinuation of edoxaban in the absence of alternative anticoagulation can increase the risk of ischemic events. The approval for use in venous thromboembolism patients was based on the Hokusai venous thromboembolism study published in the New England Journal of Medicine in October 2013. This study randomized 8,292 patients with DVT or PE to receive warfarin or edoxaban. Edoxaban was non-inferior to warfarin in reducing the rates of recurrent VTE, 3.2% versus 3.5%, respectively. Edoxaban was also associated with a significant decrease in the primary safety outcome of first or clinically relevant nonmajor bleeding compared to warfarin, 8.5% vs 10.3%, respectively (p=0.004). For patients with normal renal function, the recommended dose of edoxaban is 60 mg once daily following 5-10 days of a parenteral anticoagulant. For patients with a creatinine clearance between 30 mL/min and 50 mL/min, who weigh less than or equal to 60 kg, or who are on concomitant p-glycoprotein inhibitors, the recommended dose of edoxaban is 30 mg once daily following a parenteral anticoagulant. Use of a parenteral agent. Because the Hokusai-VTE trial included a run-in phase with a parenteral agent (unfractionated heparin or enoxaparin), edoxaban is not approved without the use of a parenteral agent for the first 5-10 days. This is in contrast to both rivaroxaban and apixaban, two other oral Xa inhibitors. Less clinically relevant bleeding than warfarin. There was a signal that showed superiority for clinically relevant bleeding (major and minor). This signal did not exist for the analysis examining major bleeding alone. A small phase I trialpublished in January 2015 in Circulation showed that bleeding measures could be reversed by administration of 4 factor prothrombin complex concentrate (4F-PCC) in patients who received edoxaban. A meta-analysis showed that novel oral anticoagulants in general are associated with less bleeding than warfarin including less intra-cranial bleeding. This meta-analysis did not comment about edoxaban in particular. In a Phase I study, published in the New England Journal of Medicine in Nov 2014, PER977 (Perosphere), a small, synthetic, water-soluble, cationic molecule designed to bind specifically to unfractionated heparin and low-molecular-weight heparin has shown promise as a reversal agent and is being investigated in ongoing Phase II trials.